"United States featuring the Interstate Highway System"
In 1956, after decades of debate and planning, Congress passed the Federal-Aid Highway Act, and the interstate network was born. The 41,000-mile system was designed to reach every city with a population of more than 100,000. Mostly completed by the 1990s, at a cost of more than $100 billion, this gargantuan public undertaking was designed for fast and safe road travel. The interstates have profoundly changed American landscapes and lives, and the way business is conducted. Interstates chopped up cities and bypassed existing roadside businesses, created new kinds of cities and suburbs, and boosted industry and commerce. I-10 sweeps almost 2,500 miles across the southern United States from Jacksonville, Florida, to Santa Monica, California. It helped shape some of the fastest-growing cities in the nation, including Houston and Phoenix, into sprawling, automobile-dependent metropolises. It is the principal truck route connecting Los Angeles ports with the rest of the nation. And as with many interstates, local interests forced changes in its proposed route in several cities, including San Antonio and New Orleans. National system of interstate and defense highways. June, 1958. American Automobile Association from the Library of Congress. Starting in the late 1930s, politicians debated and engineers studied the idea of linking America’s cities by a system of high-speed national highways with access limited to a few interchange points. The plan became a reality when President Dwight Eisenhower signed the Federal-Aid Highway Act of 1956. The federal government was to provide 90 percent of the funding—mostly from gasoline taxes—and each state would provide the rest. Originally, Congress called for 41,000 miles of limited-access roads designed for speeds up to 70 miles per hour, to be completed by 1972. With the influx of federal funding, states began planning and building new road projects. Motorists and truckers eagerly awaited the new highways. In 1938 Congress requested the Bureau of Public Roads to study the feasibility of a system of superhighways. Its 1939 report, Toll Roads and Free Roads, was the beginning of the concept for the Interstate Highway System. Throughout the 1940s additional studies addressed the way new highways would support defense and economic growth. The limited-access design of the Pennsylvania Turnpike, which opened in 1940, became a model for future superhighways. The Interstate Highway System changed the American landscape. Workers cleared large swaths of land, demolished buildings, built bridges, and blasted through hills. The interstates would shape decisions made by individuals, governments, and businesses: roads dictated the location of housing developments, commercial buildings, factories, and truck terminals. Across the country, the interstates contributed to urban decline and suburban growth. Many local governments saw the interstate program as an answer to urban transportation problems. New roads, they believed, would increase economic growth. But roads in urban areas sometimes ran up against community resistance. A few were never built; some were reshaped by community input. Early highways provided access to residences and businesses along the roadside. The new interstates restricted access to a few interchanges to keep traffic moving. Some motels, restaurants, and gas stations relocated near the interchanges. Others, bypassed by the new road, went out of business. Earlier highways tended to follow the landscape. The new superhighways cut wide, straight swaths through the countryside, flattening hills and bridging valleys. Community groups successfully protested a proposed interstate that would have taken traffic through Washington, D.C. In the interstates’ early years, most of the public eagerly awaited the broad, safe new roads. But by the mid-1960s, public concerns over the environment and disruption of neighborhoods forced the federal and state government to include social and environmental impact in their calculations. In 1973, these concerns brought changes that channeled federal highway funds to mass transit, bikeways, and pedestrian walkways as well as highways. In the 1960s, Arizona state officials planned to run I-10 through the middle of downtown Phoenix, and they designed a stack of access and egress ramps. Locals opposed the design and, in 1973, voted to stop the road’s construction. State highway planners returned to the drawing board. The new plan took into account archaeological sites and historic buildings along the route. A key part of the road was routed underground and covered with new public parkland. The public voted to approve the construction plans in 1979. 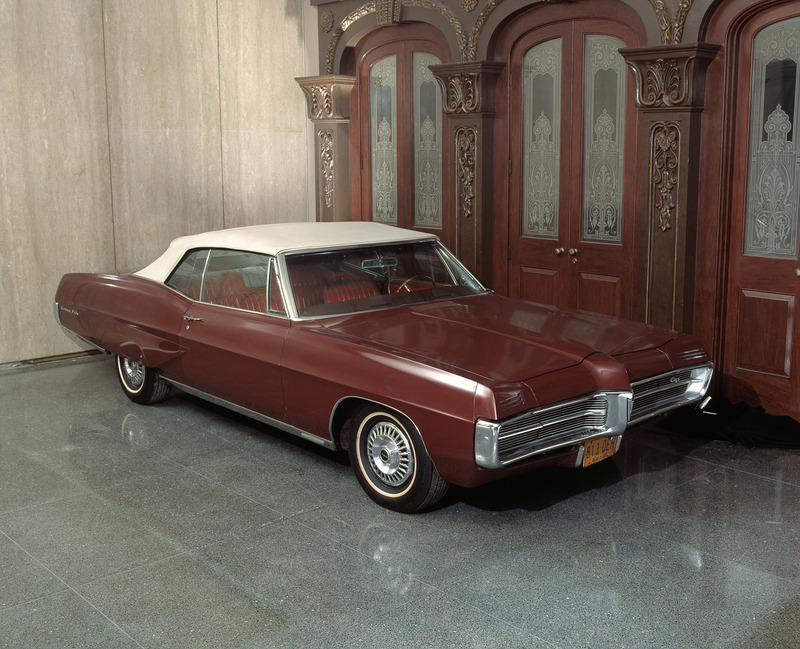 During the late 1960s and 1970s, many Americans reconsidered their relationship with the car. 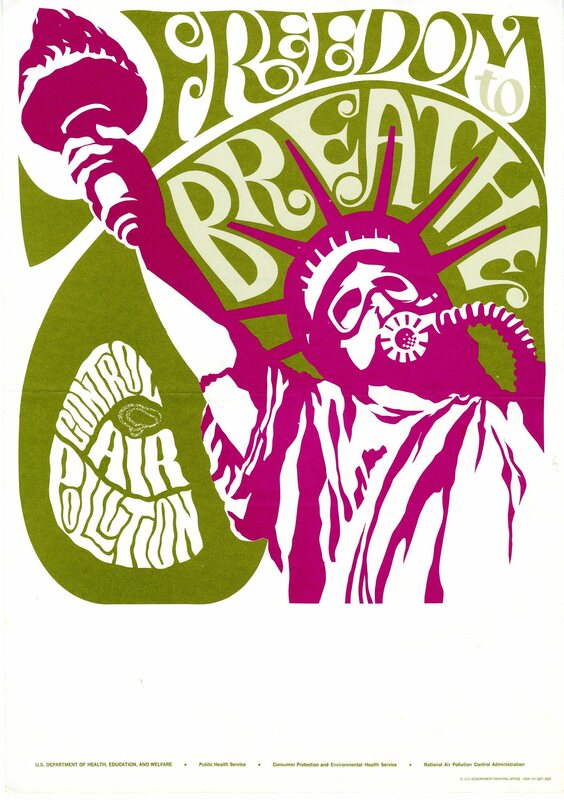 Widespread concern about the environment led Congress to regulate automobile pollution. Gas shortages led to a congressional mandate that cars get more miles per gallon. Public pressure diverted a portion of highway funds into mass transit. Cars had been growing bigger. But for many purchasers, small was suddenly beautiful. Foreign automakers who manufactured smaller cars began making inroads into the American market. Air pollution became a major environmental and health issue in the 1960s, and automobile emissions were a major contributor to the problem. First California and then federal regulators set emission standards to limit pollution from cars. Though car manufacturers fought the regulations, by the 1990s new cars incorporated a host of new technologies that drastically reduced emissions. These included fuel injection, computerized engine-management systems, and catalytic converters. To keep up with demand for gasoline, America began to import large amounts of foreign oil in the 1950s. In 1973, in an effort to raise prices and in response to American foreign policy in the Middle East, the Organization of Petroleum Exporting Countries placed an embargo on oil going to the United States. Americans began to worry about where their fuel would come from. Congress called for more fuel-efficient cars, reduced speed limits to 55 miles per hour, encouraged car pools and mass transit, and pushed legislation to establish a pipeline to Alaskan oil fields. A lack of low-cost fuel threatened America's automobility. Fuel shortages resulted in long waits at gas pumps. To reduce lines, some states limited refueling to alternate days—cars with even-numbered license plates could gas up only on even-numbered days. America’s automakers were known for their big roomy cars, but by the mid-1970s, many Americans wanted a small car. Women were entering the job market in record numbers, and many families bought a small second car. An economy car made sense in a time of recession, high gas prices, and gas shortages. By 1980, most small cars purchased in the United States were foreign imports, with Japan dominating that market. Nearly two million Japanese automobiles were sold in the America in that year, about 20percent of all cars sold. 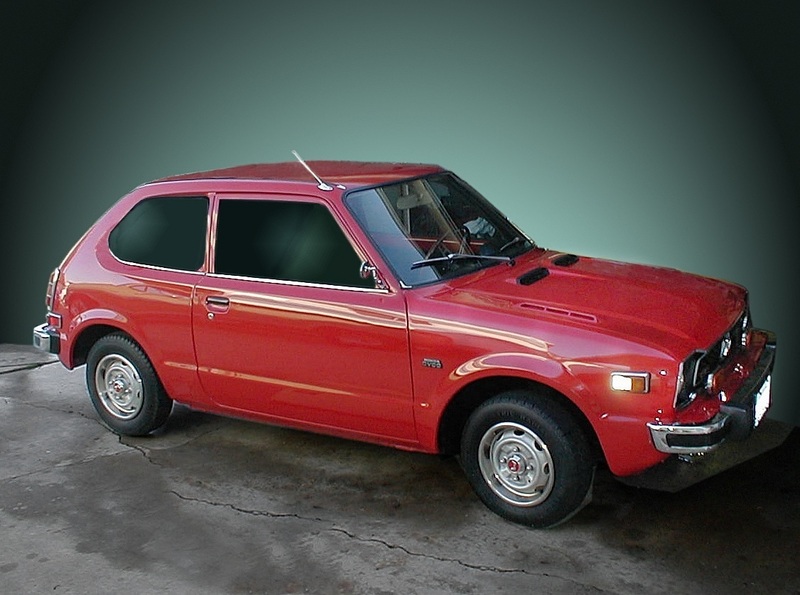 The Civic, with its low-pollution engine and high miles per gallon, was one of the first popular Japanese imports. Courtesy of Honda Motor Co. The new interstate highway system brought a huge increase in long-distance trucking. The new roads made truck travel easier, swifter, cheaper, and safer. They allowed bigger trucks to carry more freight on faster schedules. Traffic congestion on urban streets and two-lane country roads could be bypassed. Costs were lower, with less wear and tear on vehicles. Businesses erected new warehouses and factories outside of cities on cheaper rural land near the interstates. Large multiservice plazas, many owned by oil companies, replaced mom-and-pop stores that once catered to truckers and other travelers. In 1950, some 173 billion ton-miles of commercial intercity freight traveled by truck. (A ton-mile is one ton carried one mile.) As the interstate system grew, commercial freight by truck more than tripled to 555 billion ton-miles in 1980. Easing of federal restrictions on trucking prices and routes came in the 1980s, and commercial truck freight grew to nearly 650 billion ton-miles by 1985. Peterbilt Model 359 tractor, 1986. Gift of Werner Enterprises, Inc. Working conditions have improved since the beginning of trucking, with better roads, bigger trucks, and more conveniences in the cab, but hauling a load is still grueling work. 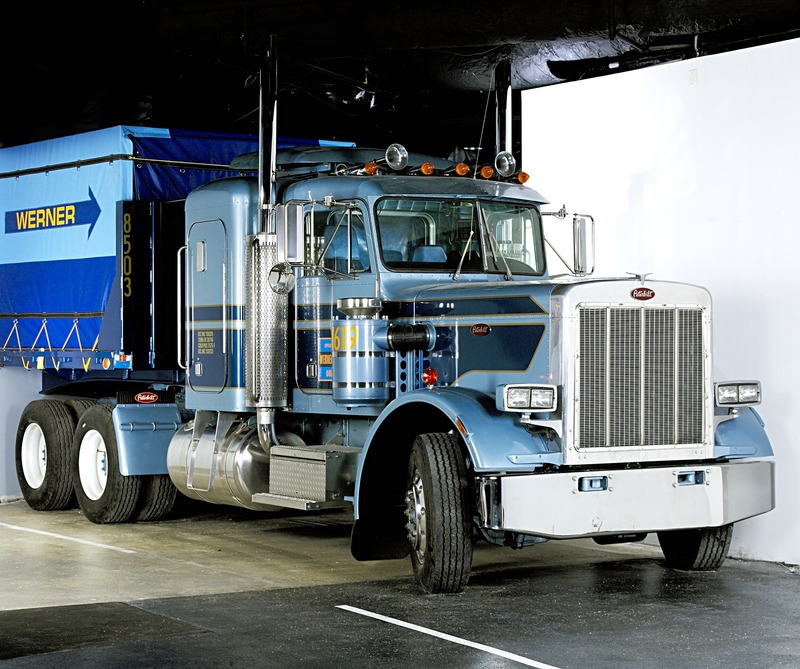 For the long-distance trucker, the cab is both home and office. Cecil Curry, the driver of this tractor, hauled building materials, agricultural products, industrial parts, and consumer goods across most of the United States. Trains were once the way to travel long distances. But after World War II, as high-speed highways covered the nation, Americans traveled by automobile more than ever before. The interstates killed some towns, cutting them off from the traffic sweeping by on its way to the gas, food, and lodging now available at interstate interchanges. Other towns boomed, as the relative cheapness of a journey by automobile made travel and tourism an ever more important American industry. Free guides, maps, and games found at gas stations and rest stops provided tourist information and built customer loyalty. Guenther and Siewchin Yong Sommer drove their 1967 Pontiac Grand Prix for 32 years, visiting 251 national parks, monuments, memorials, forests, historic sites, historic parks, seashores, recreation areas, historic trails, and scenic areas. They stayed on the road as long as a month at a time, sometimes sleeping in the car. The Sommers drove to all 49 continental states, including a trip to Alaska on the old Alaska Highway. They traveled more than 150,000 miles. Crawl and sprawl—too much traffic and spreading development—defined American cities at the end of the 20th century. Local and state governments faced choices about land use and highway and transit construction, balancing costs of new roads and the loss of unspoiled land with the demand for housing and economic development. Families had to balance housing costs and convenience with time spent sitting in traffic while commuting and running errands. The automobile shaped daily life in ways that neither its inventors nor the designers of interstate highways imagined. Interstates opened up new land for development. Traditional patterns of commuting changed as offices, factories, and stores moved to the suburbs. Highways (designed for intercity traffic) and beltways (designed to let traffic bypass the city) became commuter corridors, jammed with workers driving from suburb to suburb. Suburban roads were even crowded on weekends, as families ran errands in their cars. The 2000 census found more Americans in the suburbs than in cities. And once-compact cities now extended for miles, as housing developments and office and retail complexes replaced farms and enveloped small towns. In the last half of the 20th century, reformers and then politicians and the public pushed for increased automotive safety. Changes in every aspect of driving—better roads, stricter traffic enforcement, better driver education, and improvements in vehicle design—increased traffic safety. In 1966, more than 50,000 Americans died in traffic accidents; 20 years later, when the number of miles driven had doubled, there were 46,000 fatalities. In the 1960s, government agencies began to set standards for vehicle and highway safety programs. From 1967 new cars had to feature seat belts, padded dashboards, dual braking systems, and standard bumper heights. In succeeding years, despite resistance from automobile manufacturers, new government regulations required improvements such as air bags, collapsible steering columns, shatter-resistant windshields, and child car seats. It’s the “nut that holds the wheel,” as the old saying goes, that causes most traffic accidents, by speeding, failing to yield the right-of-way, driving while intoxicated. Driver-education programs, popular in high school classrooms since the 1930s, aimed to reduce accidents, as did grassroots groups like Mothers Against Drunk Driving, founded in 1980. 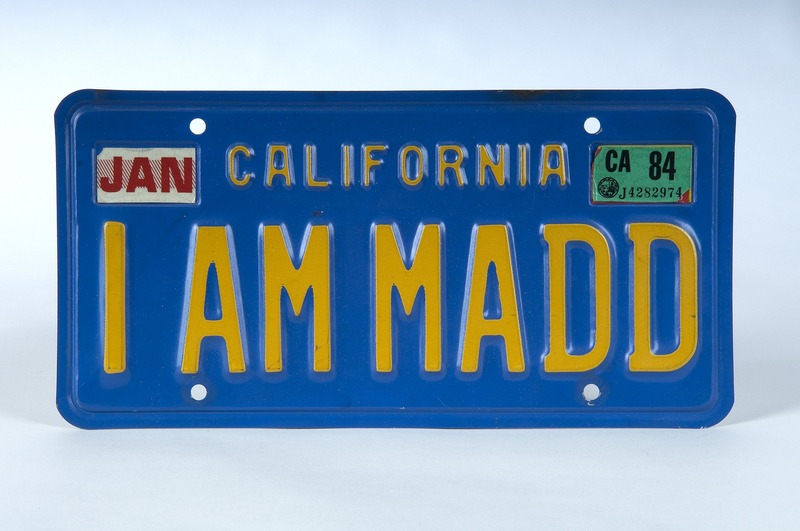 Candace Lightner founded Mothers Against Drunk Drivers (MADD), a citizens’ movement to fight leniency and indifference toward drinking and driving, in 1980.